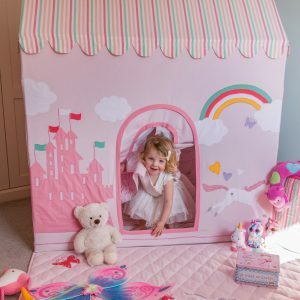 Kiddiewinkles Playhouses and Wigwams (Prices vary) help children use their imaginations as they roleplay multiple scenarios thanks to clever multiple design themes. For example, one side of the Rose Cottage Playhouse (£195) features a village tea shop, while the Gingerbread Cottage Playhouse (£195) transforms into a sweet shop with its own door and shelves featuring lollipops and candy canes! 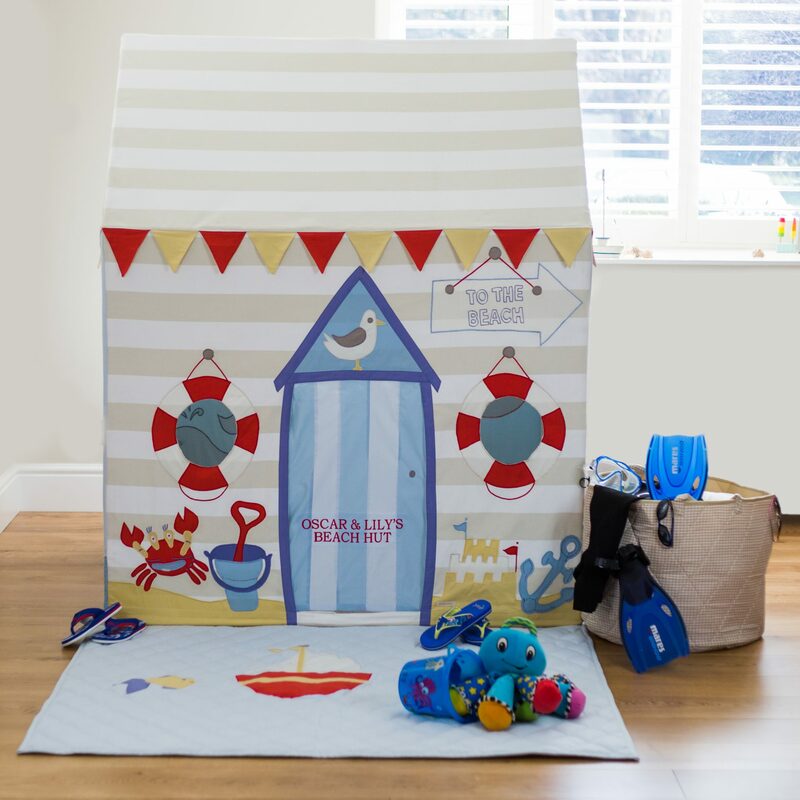 The popular Large Beach Hut and Seaside Playhouse (£225) depicts a traditional British beach hut, complete with embroidered ‘To The Beach’ plaque, seagull, boats, buoys and lighthouses to allow kids to recreate their favourite seaside memories. The Wild West Wigwam (£210) features a blazing golden sun on the front plus horse, buffalo and bear appliqué motifs on each side along with tufts of grass, feathers and a colourful zigzag pattern for authenticity. Don’t forget to subscribe to our newsletter for 15% off your first order!